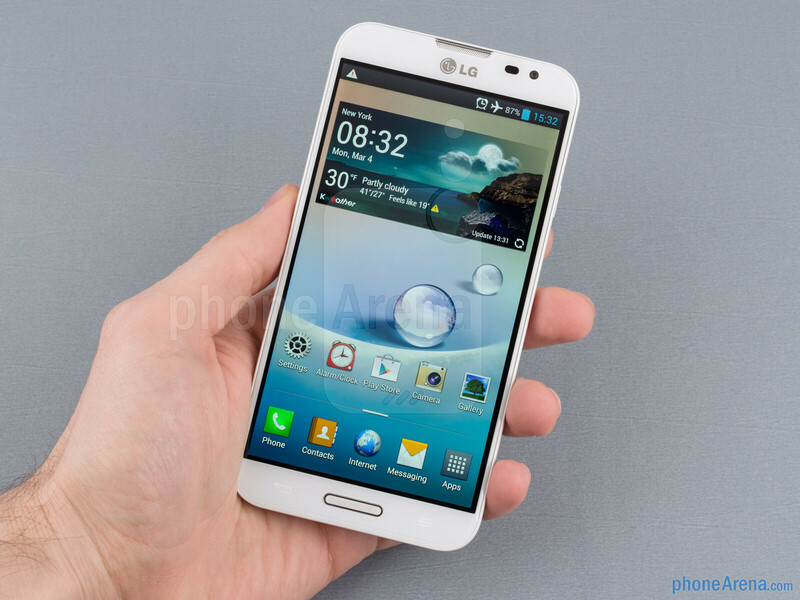 The Optimus G Pro is LG's first handset with the trendy Full HD 1920 x 1080 screen resolution. It is available in both 5” for Japan, and 5.5” versions for Korea. 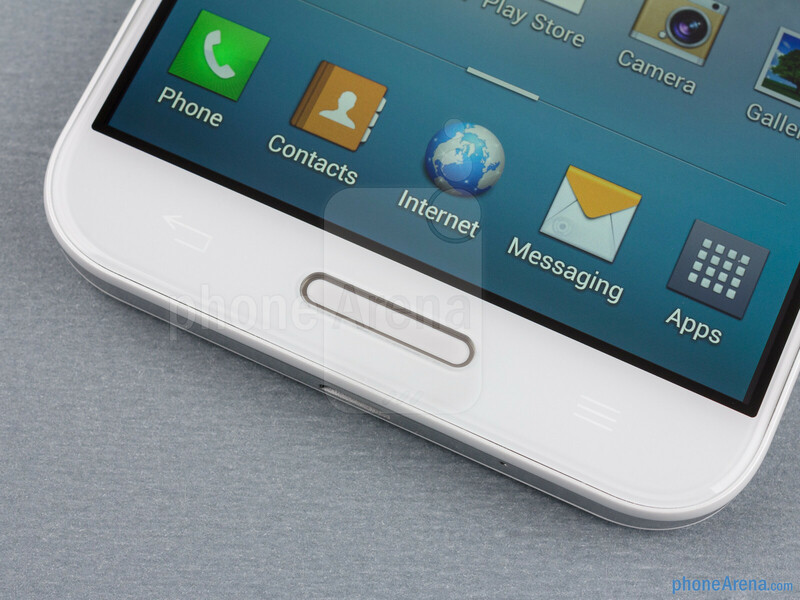 It is scheduled for a global rollout in Q2 and is expected to also come in North America in unknown yet version. The Korean model we nabbed for a review here eschews the typical 5” size of its direct competitors to go big, and set itself apart from the barrage of 5-inchers about to hit the market. Not only that, but the phone is also loaded with a powerful Snapdragon 600 quad-core chipset, and sports something you don't see often these days – both a memory expansion slot, and a swappable battery. When you grab the G Pro, it immediately becomes apparent that the handset is more compact than the Note II, despite the equal screen diagonals. LG has managed to achieve an incredibly thin side bezel, and has bet on a more narrow form, thus making it much more palm-friendly than Samsung's rather wide contraption. It is also refreshingly light for a phone of this size, at 5.6oz (160g), achieved by the use of plastic all around the phone, including the patterned removable back cover, which feels very sturdy, and has the NFC antenna integrated. Underneath it you can find the huge 3140 mAh battery, as well as microSD and micro SIM card slots for the ultimate flexibility. The only shot at “premium material” looks in the G Pro are the faux brushed metal rim around the sides, and the metal ring around the camera lens on the back. 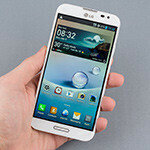 You can compare the LG Optimus G Pro with many other phones using our Size Visualization Tool. We won't go as far as to say that you can easily use it with one hand, but it is certainly the most manageable device of these XXL screen sizes out there. 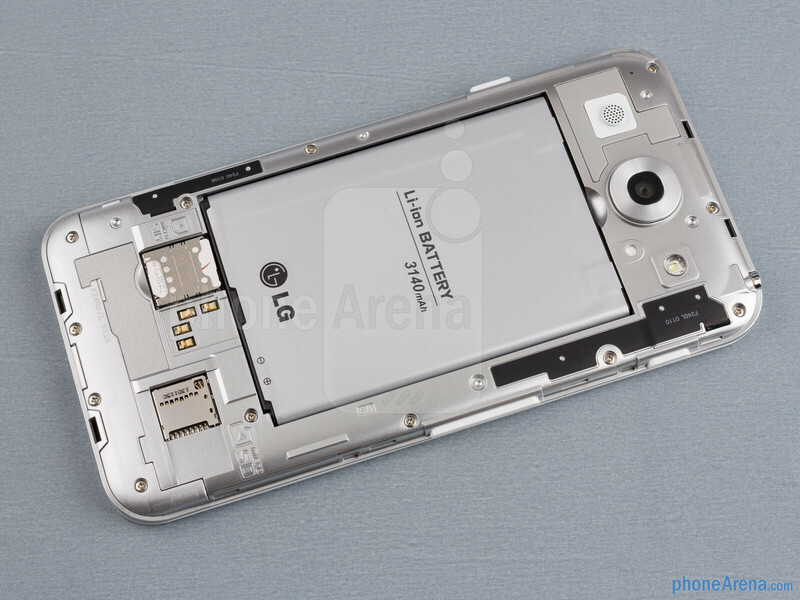 The only boon is the capacitive back key under the display, which LG has placed on the left as usual, requiring impossible thumb stretching that almost precludes the phone from being operated safely with one hand. LG has had the brilliant idea to put a so-called QButton on the right side, above the volume rocker, which can be mapped to quickly launch any application of your choosing. If we could program it to be a “back” button, too, all of our prayers about controlling big screen smartphones with one hand would have been answered, as that's the most-used navigational button in Android, but alas, you can't map the back key to the QButton. Get to work, XDA-Devs! The Q key, along with the volume rocker underneath, and the power/lock key on the right, are easy to find and press, with decent tactile click, and the same goes for the rather thin home button underneath the display. That same home key has a notification light around it, that can ooze six different colors to notify you of a missed call, message or email, to alert you on a calendar event or the charging status, or simply flash in all colors of the rainbow when the alarm goes off in the morning. In addition, there is a color that can be lit up by third party apps that support the LED notification function, like the Facebook app, for example. Another good idea by LG is to equip the G Pro with an infrared sensor at the top, and a Q Remote app to it, that lets you just pick the make and model of your TV, home stereo, set top box, AC unit and the like, then start using the phone as a remote control with a touchscreen. We wish every phone came with this instead of fumbling for the remote in the couch cushions every day, and lately the manufacturers are hearing us, as the HTC One and the Xperia ZL also have one. The brand choice in the app is somewhat limited when it comes to set top boxes, as it didn't have our Huawei one listed, or AC units, where only LG and Samsung are present, but hopefully more makes and models will be loaded down the road. 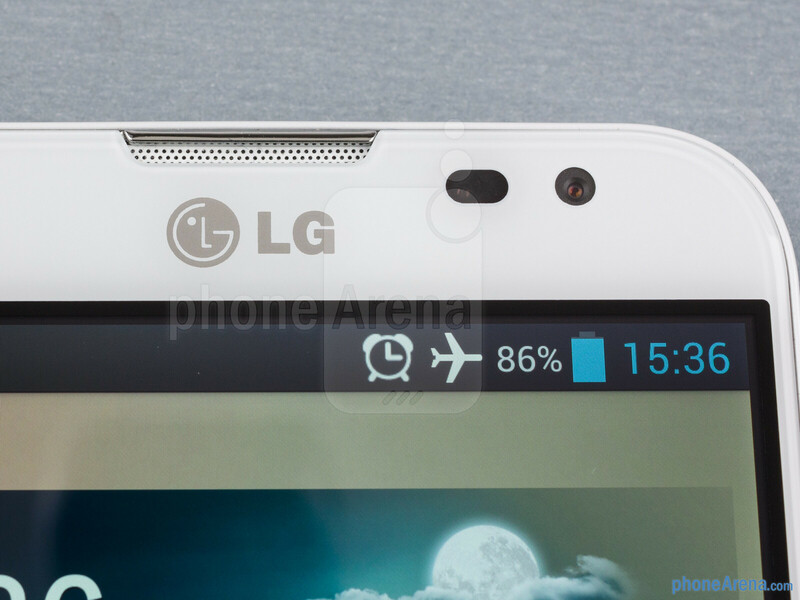 LG has supplied a brilliant 5.5” Full HD 1080 x 1920 pixels screen on the Optimus G Pro, and the screen's pixel density of 401ppi, while not as high as the 441ppi of the Full HD 5-inchers, is one of the best you can currently get. The colors are vibrant, viewing angles are excellent, and the display is sufficiently bright for comfortable use outside under direct sunlight. The only gripe we have is with the light sensor, namely the software that adjusts the brightness level in automatic mode, as it takes a while to light up the screen outside and dim it inside. Moreover, the adjustment travels in a range, so if you have set the phone at half-brightness in manual mode, it will go +/- a preset percentage from there in auto mode, instead of blasting to full 100% outside, as it would do if you have it at 80%, for instance. Hopefully a software fix will be released as it happened with the 4X HD last year. Hardly a Note alternative if it doesn't come with the equipment to take a note. By saying thet 2 is a streched S3 i think you mean that they streched the RAM too and doubled it. you're kidding right... it has the same amount of ram... 2GB. 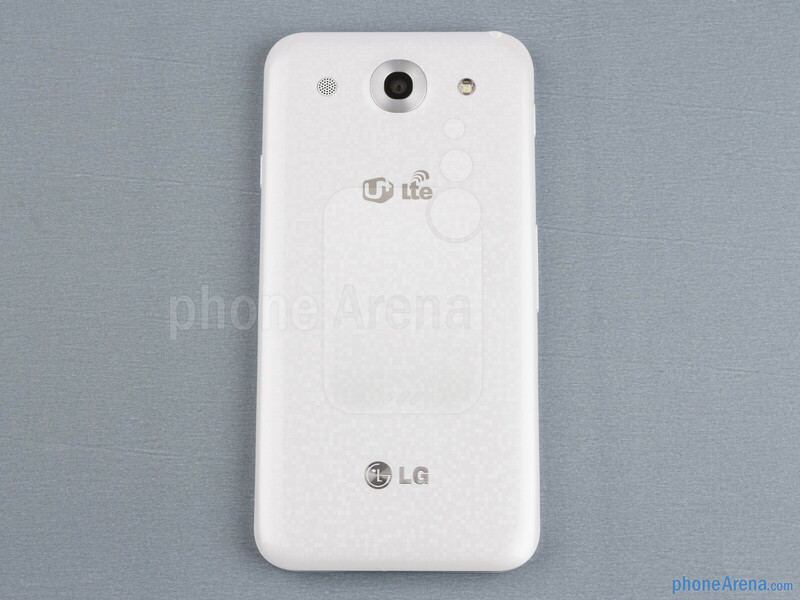 same quad-core thats in the international S3. its almost completely identical with a stretched look... and a gimmicky pen that like the guy above said, is only useful for those 2 kinds of people. 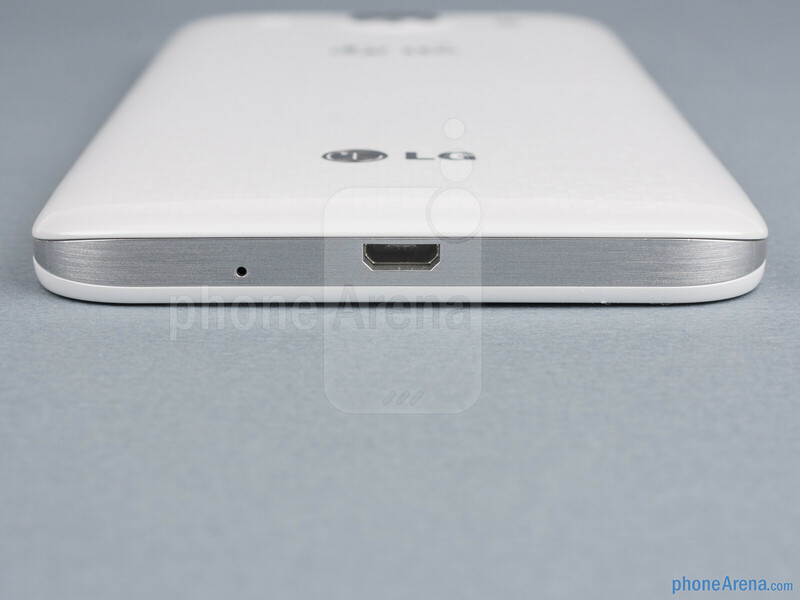 It has the Qualcomm Snapdragon 600 APQ8064T, and there are no mentions in the end about the performance? Where you see laginess? I don't see any laginess at all. You need glasses because you see bad. I only see fluidity and speed in this phablet. 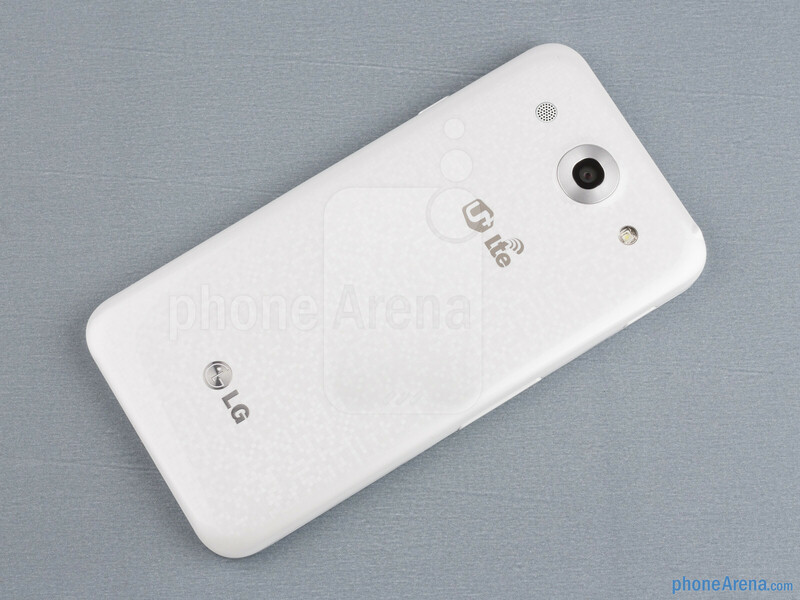 With a chipset like the one that this phone use it's dificult to see any lagginess even that the LG UI was bad. I already checked and watched in youtube and i don't see nothing of lagginess, Must be your eyes. 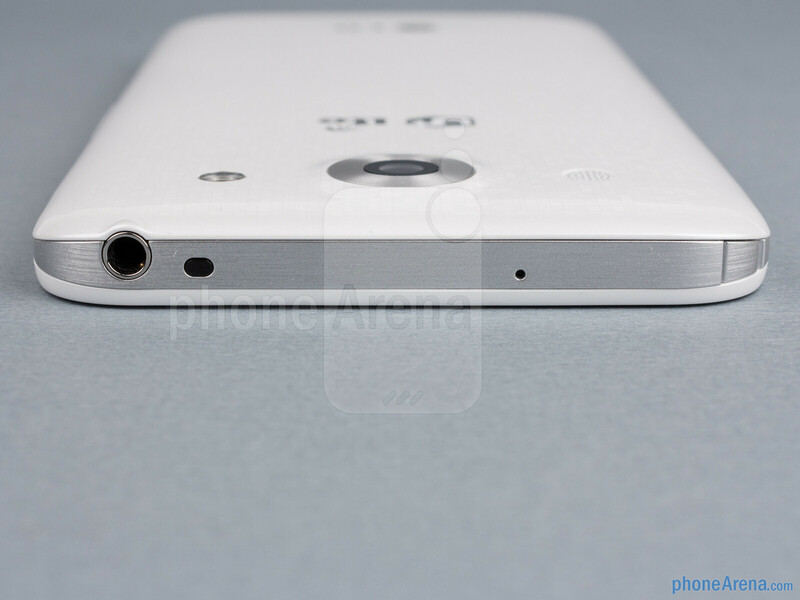 You only see HTC One and Xperia Z at your forward like others because you don't see nothing at not to be those phones. So you now can read my thoughts??? Wow, you must be very good at forecasting the future! Congratulations! And I can see well, btw. i hate your arguments. give a link on youtube where you see lagginess! On the second page under processor and memory, "You can rest assured that the interface just flies without lag or stuttering, and no matter how many apps you pile on, they all run without a hitch,"
And the silver ring around the camera looks like it's from the One X. More CONS: - Rip Off / Evil Twin Sister of Samsung Galaxy Note II - No Stylus - Screen has an "inner" bezel - Has some hiccups while scrolling... (check youtube) - LG UI is exactly the same as Samsung Nature UX. My Score: 5.5 for not being innovative with either design nor UI. More like a 9.0, IMO ..
Benchmarks are slightly underwhelming for such a powerhouse. Overall it's problem is looking like the Note II but not having the same level of functionality, otherwise you can't really complain. 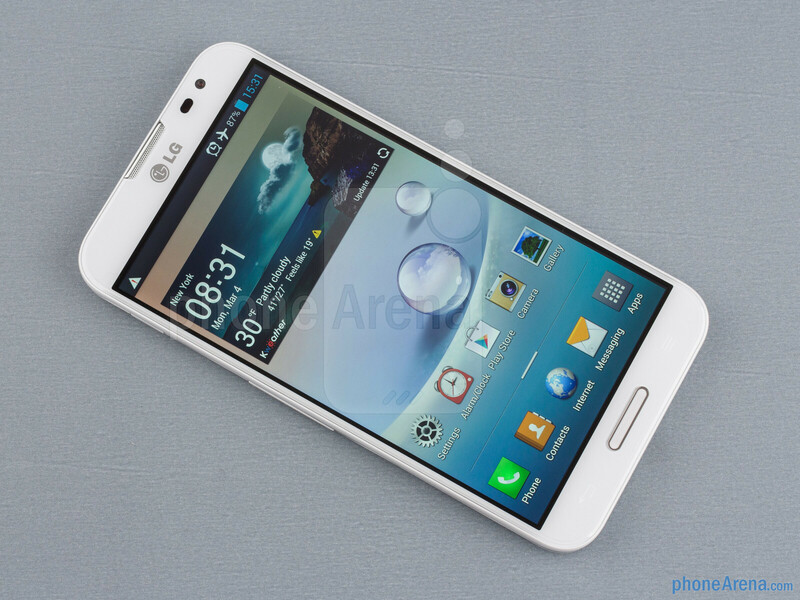 Check the gsmarena HTC One preview. The Optimus G Pro actually benches higher overall. 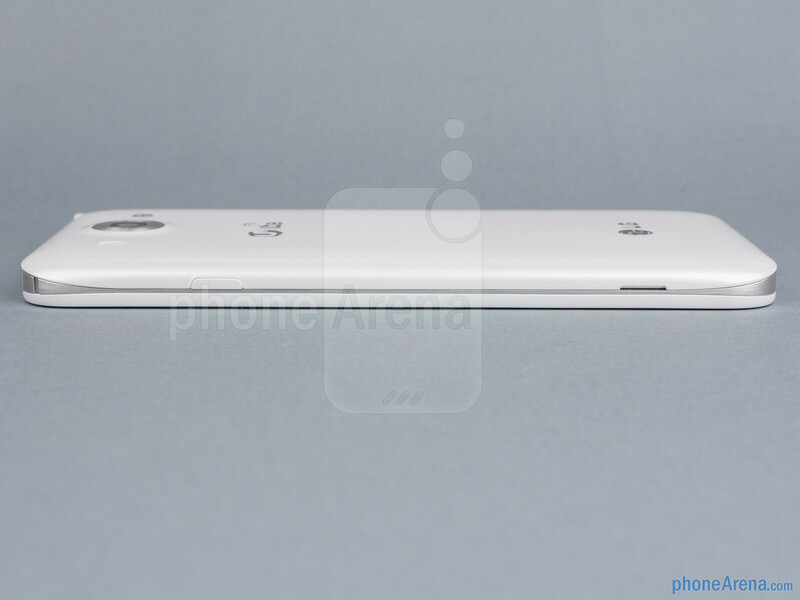 Note III will definitely be much better than this. 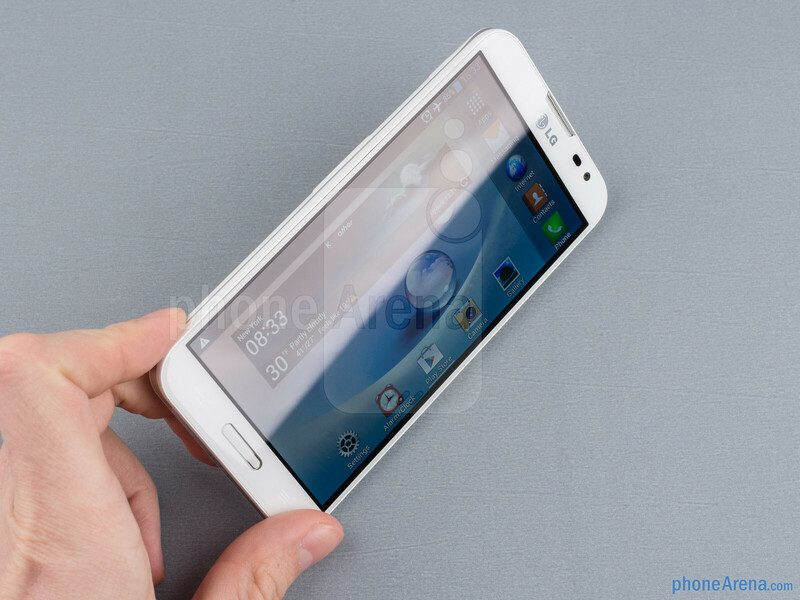 I wouldn't even trade my NOTE II for this. lg faild when butterfly scores is 9/10.. one will be number1 this year. 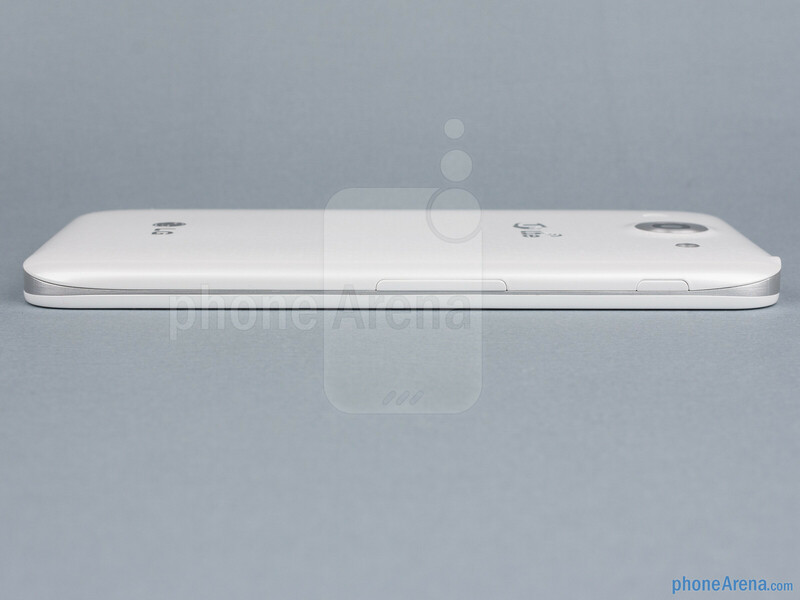 htc one is definitely the one this year. 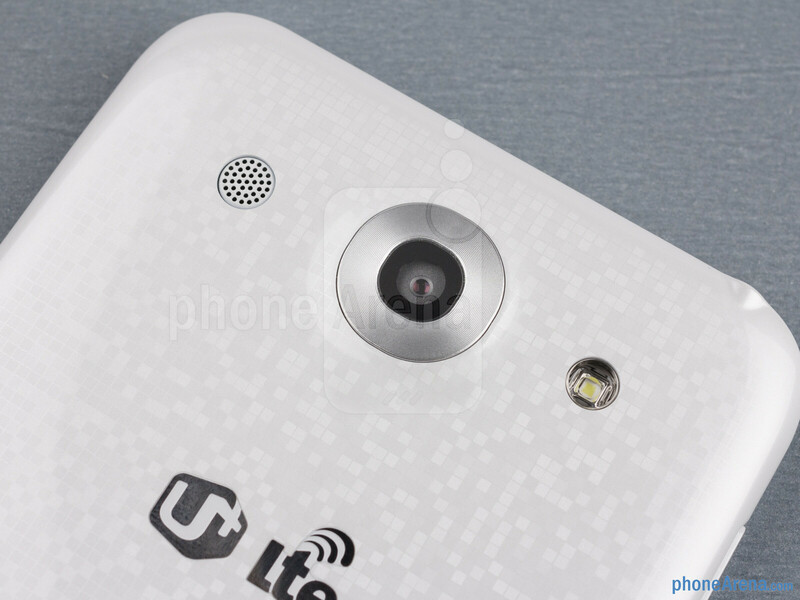 4mp camera is going to be the One's downfall.